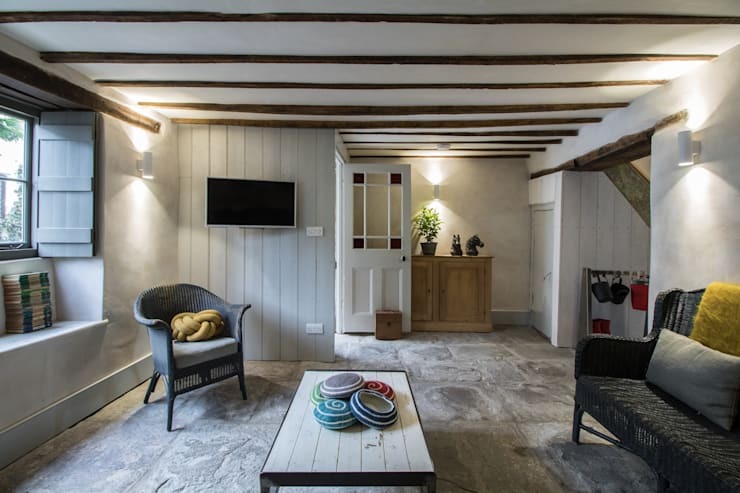 Today on homify 360, we visit an adorable, and super chic, rustic cottage with simple and serene features functioning as its main attraction. The textured stone walls make for an awesome sight, while the neutral colour decor is the perfect fit for this stylish mix up of country charm. Who wouldn't want to spend the weekend waking up to the sounds of nature in this classically cute house in the woods? What's better, is that there are so many farm style details to enjoy in this striking house, that we don't even know where to begin. The architects ensured old fashioned splendour, along with modern amenities for a contemporary, livable finish. 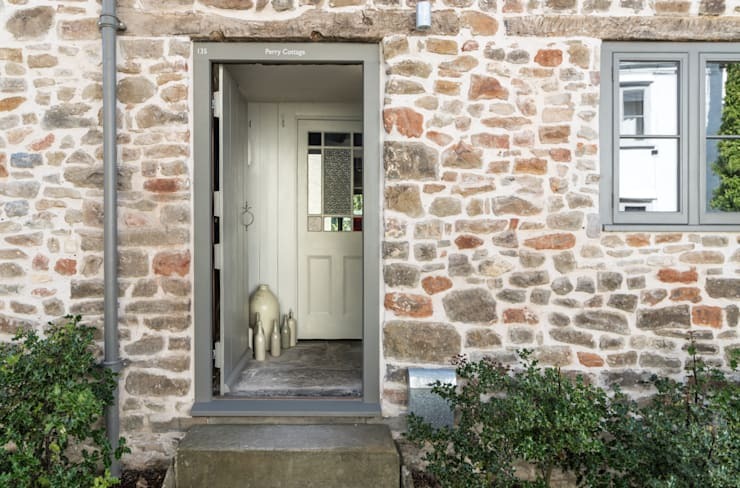 The front facade of this home is cute and inviting, from the warm and cosy effect of the stoned exterior, to the simple garden and even the light grey accent colour used for the door and window frames. It's a facade that is definitely eye-catching and aesthetically appealing, but it's the inside where the magic really happens. 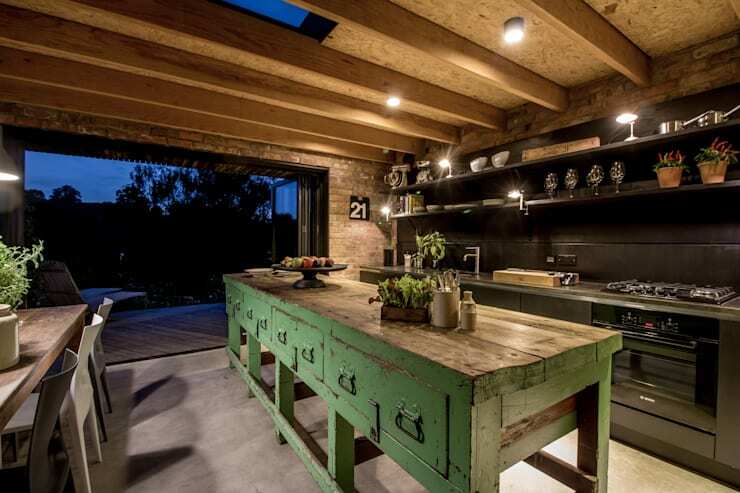 This rustic home has modern features that will leave you amazed. The living room is quaint and shabby chic, a great style choice. 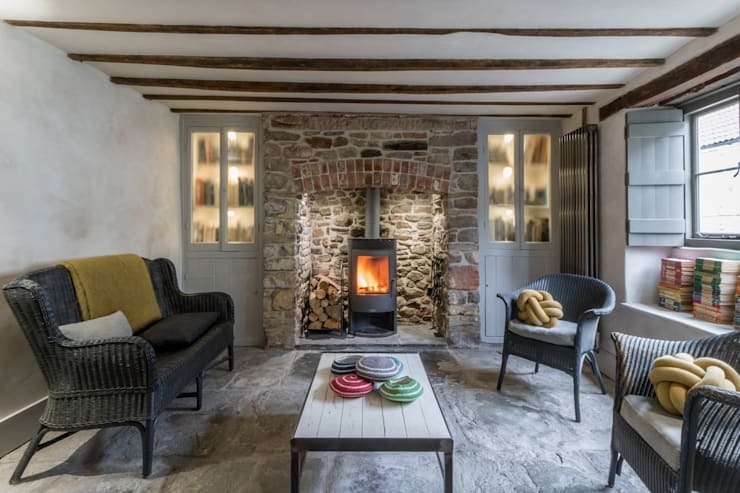 The simple furniture adds an elegant flair, while the exposed stone wall that was once an old fashioned fireplace now has a sleek and modern counterpart for optimum warmth and relaxation. The grey concrete flooring adds an industrial look, while the wooden beams on the ceiling are a fantastic feature for a sense of old-timely authenticity. Just because this home enjoys old values, doesn't mean that there cannot be some modern elements too—as the previous rooms have also demonstrated. The flat screen TV in the corner of the room is ideal to keep track of the latest news and information and enjoy some Netflix binge sessions, without having it dominate the centre of the living room. The neutral colour scheme creates a humble atmosphere, but the kitchen is something is the real space you're going to admire. This fabulous kitchen is a rustic homeowner's dream, from the elegance of the centre island to the wooden features and dramatic lighting. Another aspect that makes it so gorgeous is the skylight and the large sliding doors, which allow for natural sunlight and fresh air to be a part of the whole design package; welcoming, warm and friendly. 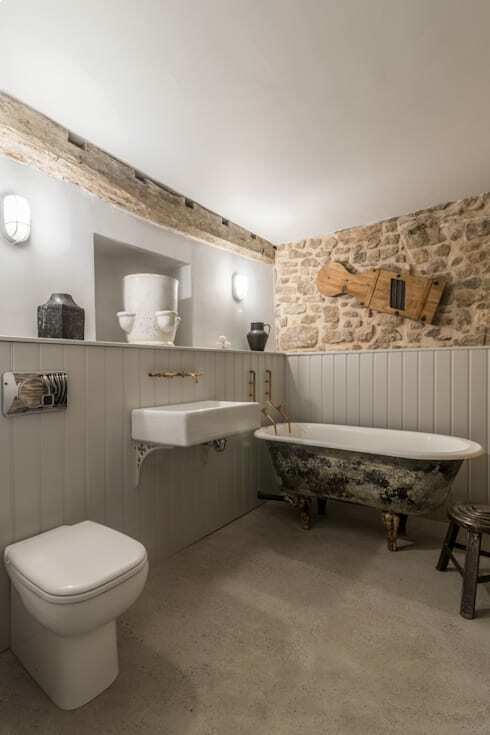 The bathroom has an elegant retro ambiance, with the exposed stone wall, classic bath tub and old fashioned lighting creating an eye-catching effect. The modern elements, such as all-white fixtures and fittings this bathroom, create the balance of styles, which result in a great place to relax and unwind after a long day. 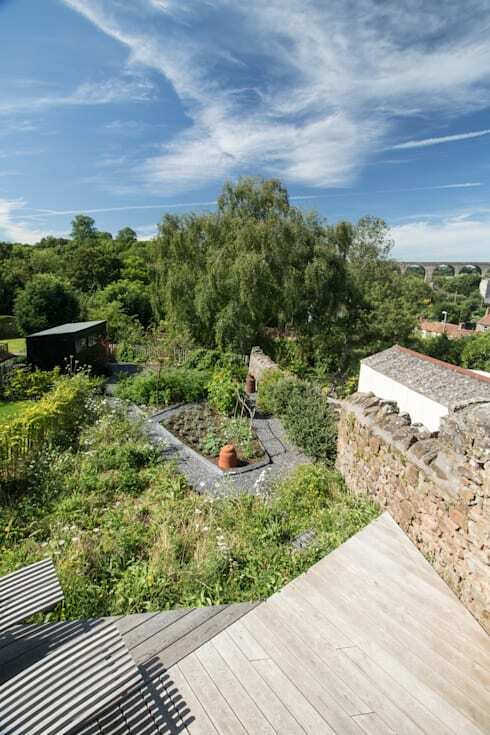 We've come to the end of our little peek into this home, and what better place to end than the garden of course. This one should definitely delight your senses, as it creates an even more comforting atmosphere for residents and visitors. Just admire the beautiful image below and imagine spending some time in the greenery simply enjoying the sunshine, or better still, reading your favourite book while you doze off. If you adored this rustic cottage, then you'll admire: A dream home perfect for a South African family too! Would you consider this rustic inspired cottage as your forever home?